Oh my god, it's photography! 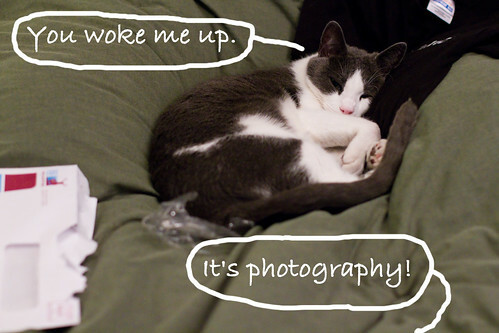 I looked at the finished image and declared to my sleeping cat, who could've cared less, "Oh my god, it's photography!" I'm aware of what a strange thing that is to say, but it's what came out. Don't judge me. As some of you may be well aware of, I started taking on the task of learning what I'd like to call "People-off-stage" photography. Some of you call it portraiture... however, I'm still not entirely convinced that's what I'm producing. But either way... they're photographs of people *not* performing on a stage, and that is, while no longer a new phenomena as far as I'm concerned, it's still viewed by some as "different for me". While it may be pre-mature, as I don't usually like showing off individual photos until the entire set is done (which is why so much time always passes between posts here), I couldn't get a hold of the model in the photo so I could gush over my accomplishments... so that pleasure gets passed onto all of you! 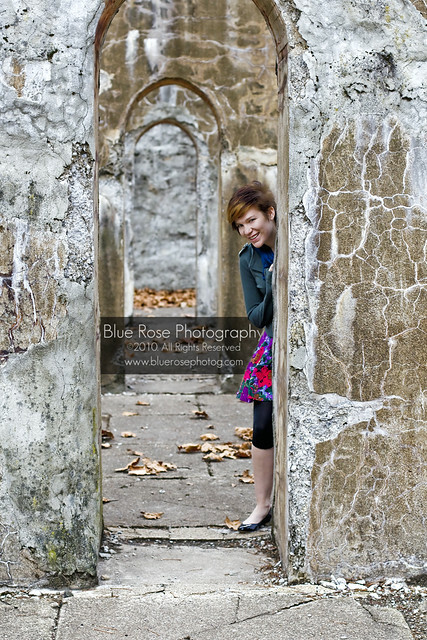 And with *that*... here is Image 1 of Christine N. amongst the ruins of what used to be a big furnace...uh... place. Yeah. Some of you are looking at that thinking, "So what? I don't get it? What's so special about that?" Probably absolutely nothing. But compared to what it is to where I came from, it's a lot to me. I've been trying to come up with a PP (Post Processing for you non-photogs following) style that I like for a while, and while it's probably going to evolve a few more (hundred) times, I actually really like what I've done. It took several different shoots and HOURS upon hours to get here... which is one of the reasons I'm so proud of myself currently. The other reason, again, is just comparing the shoot in general to what the first ones I did were like... I feel like I've made vast improvements (and I am NOT full of myself at all... I'm quite modest and my hardest critic when it comes to my work, but I can also acknowledge my own achievements).